Following from my “Planning a Vintage Inspired Wardrobe” series last year, I guess it’s about time that I initiate “Project Wardrobe” for myself. Starting small, mainly because I don’t want to invest a huge amount of time or money in a bunch of clothes that will (fates willing) be far too big for me in 3 months, I have my sights set on a matching hat and bag. This pattern is in the Intermediate/Advanced range of sewing, and I think having done the Introduction to Millinery course will be in my favour. 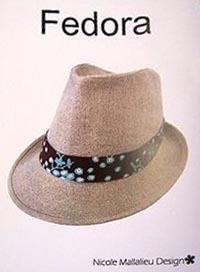 As whilst this is a sewing pattern, it does call on the same fundementals of hat making that I used in my sinemay hat. The fabric I have chosen is a wool/nylon blend that I bought about 5 years ago from the Remnant Warehouse (before they moved). Major bargain at $36 for 3.6m of 150cm wide material. It was originally bought (along with some matching silk) to make a decadent coat for myself, but as it’s been 5 years in the closet, I don’t think that’s going to happen. I’ve also gotten to the point where I can no longer hold onto fabric, waiting for the perfect time/size/pattern to make things. 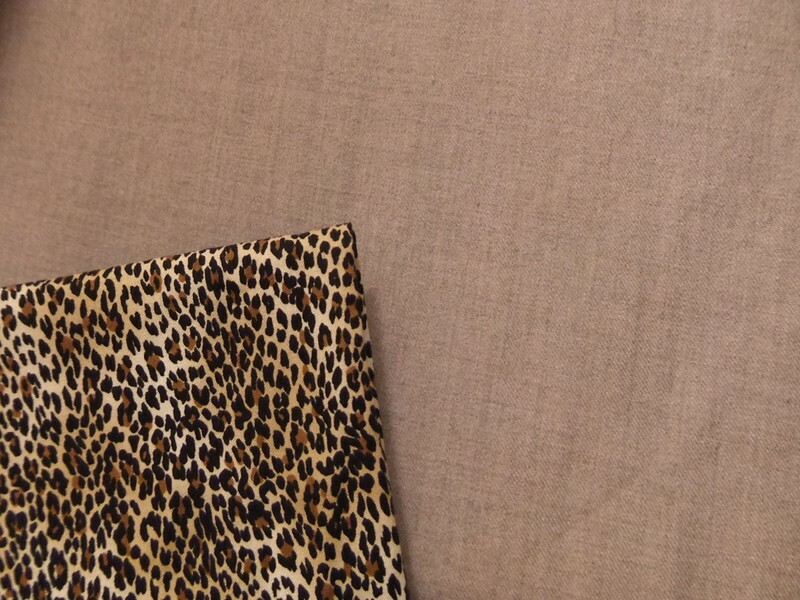 For the inside lining, I’ve chosen a quilting cotton in a leopard print. My original plan was to use some silk that I’d bought, but then thought that it would be difficult to keep looking nice. First thing to do was to trace the pattern. I like to use a light weight, non-woven, non fusible interfacing. It’s see through, cheap and can be ironed straight easily if it gets creased. No matter what I’m making, I always do a first tracing straight from the pattern. Afterwards I’ll make any adjustments or alterations that are needed. 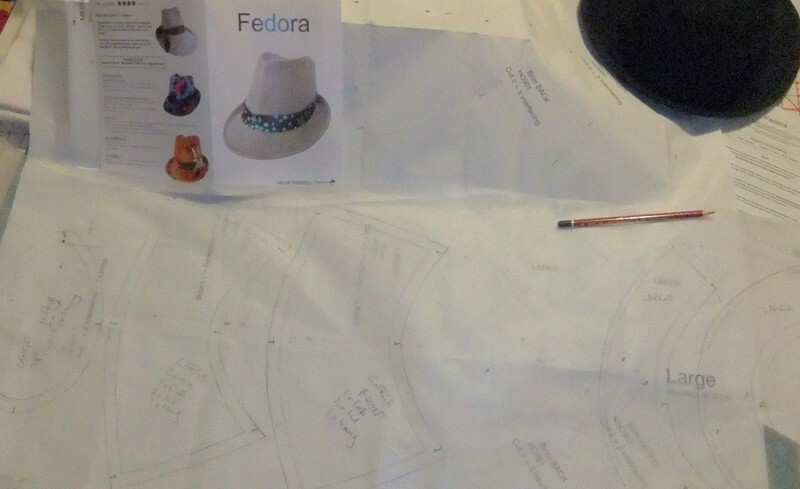 What I like about the Fedora pattern, is that it is somewhat customisable. The brim width on the pattern is just over 2″ deep, and you can add up to 4″ without sacrificing shape or balance. While I want something that will somewhat give me some sun protection, I don’t really want a huge brim that will look a bit silly on someone as short as I am. I like how my Sinemay hat fits, and it has a brim depth of around 3-3.5″, so I had to add 1 1/16″ (2.95cm) to the outside edge of the brim pieces. 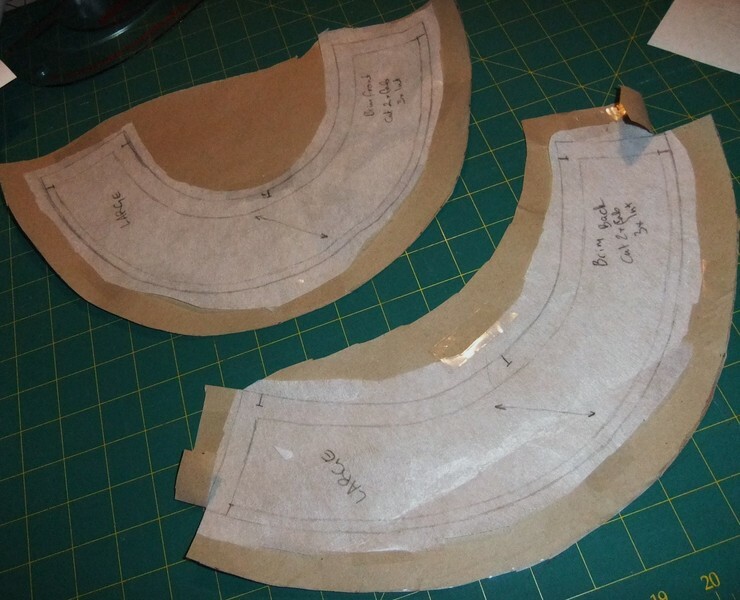 Coming in Part 2 – Prepping and cutting the fabric.